Does Management Reporter for Microsoft Dynamics support your BI Strategy? This article will discuss the Management Reporter (MR), as it relates to modern, dynamic financial reporting output for Microsoft Dynamics users. At the beginning of 2016, it appeared that, all of a sudden, Management Reporter (MR) was trending as a topic of conversation – both in the blogosphere and in person, amongst Microsoft Dynamics users. It all seems to have started when Mark Polino, Director of Client Services at Fastpath and perhaps more importantly, a 9-time Microsoft MVP (Most Valuable Professional) Award winner, wrote about MR at the beginning of the year – and he expressed his frustration and disappointment. The article he wrote for MSDynamicsWorld.com has apparently struck a chord with Dynamics users as it has been brought to my attention several times. Joining this discussion, I’d like to write about a pretty simple question: does MR for Microsoft Dynamics support your Business Intelligence (BI) strategy? The easy answer to this question is no. Not even “maybe” or “yes, for some.” MR was supposed to be a replacement and more importantly, an upgrade for FRx users. Both were free or low cost offerings from Microsoft to deliver financial reporting functionality for general ledger data only, and despite all the service packs and cumulative updates, MR has seemingly “crashed and burned.” After doing a little research on the timeline, FRx was officially retired as of January 1, 2011 – one Microsoft Partner even had a retirement party – which was also the launch of MR. Originally promoted by Microsoft and accepted by the reseller ecosystem as a true upgrade to the now quite ancient, but popular FRx report writer, there’s been a shift and a change of tune pretty much across the board. In terms of upgrading the FRx experience, Microsoft incorporated SQL Server as a back end data mart. However, in contrast to FRx, the errors that users experience with MR have been inconsistent, whether that has to do with the several cumulative updates or just flimsy technology. The added data mart, which was a big selling point, is arguably one of the aspects of the product that is causing customers the most headache. Additionally, Management Reporter was initially supposed to absorb both FRx and Forecaster (budgeting solution), as the plan was to add budgeting functionality, but this plan was scrapped. This abandonment left consumers with an arsenal of at least perceivably retired, tired, and glitchy Microsoft products – after so much had been promised. I have also heard from users that change was hard for them anyway, even though it was inevitable in the realm of technology, but once they realized that MR was not a legitimate upgrade, but rather a disappointment or pain, there was a sudden longing for the days of FRx. Polino even cites some users that have figured out how to connect FRx to newer Dynamics ERP versions, which is not supported by Microsoft, but indicative of how well-received MR has been in the finance world. Another issue is that MR does not work with Dynamics NAV, by far the most popular ERP system from Microsoft, often leading customers to purchase third party report writers like Jet Reports and BI360. I think some could easily say that you get what you pay for, but there’s also the Microsoft brand that we as a community are hesitant to stray from, perhaps especially after years of relying on the Microsoft BI stack. However, there are smarter, more powerful ways forward for your BI processes than MR, FRx, and Forecaster combined – and there’s no time like the present to consider your options. First of all, with the number of independent software vendors (ISVs) and products growing over time, it can potentially be overwhelming to wade into best-of-breed options. What should you be looking for in today’s ISV offerings that speak to modern analytical demands? The main elements to consider include: whether you’d prefer reporting live from Microsoft Dynamics and/or a BI data store; if you’d like to go with an Excel-powered, web-based, and/or proprietary software platform; if you require a mobile reporting option; if you need a tool that is part of a complete BI suite, that includes a fully built, configurable data warehouse; and most importantly, is a certain product business user friendly? MR had a data mart, but could also report live on the GL from the Microsoft Dynamics GP/SL/AX ERP systems. In the ISV marketplace for modern reporting tools, you can choose from an assortment of reporting tools that will usually either let you integrate live from Dynamics or from a BI data store like an online analytical processing (OLAP) cube or a data warehouse. You can decide if you need real-time analytics from a live integration or higher performance integration with a BI data store. There’s also the rare reporting tool that allows you to decide when you’d like to go with live integrations and when you need to go with a BI data store integration – modern flexibility. Next up: platform options. Reporting solutions are either an Excel-powered or a proprietary interface, but the web adds another dimension. With the decades-long popularity of Excel, add-in products are prevalent in the finance world. By adding a ribbon to the toolbar, you take the familiarity of the spreadsheet application and accelerate it with more dynamic functionality for reporting without ever having to leave Excel. Proprietary products have carved out a place for themselves in the marketplace, but the learning curve is arguably longer with a brand new set of formulas, formatting, and features to learn. Most web products are proprietary, but there are a few that combine the familiarity of Excel and the accessibility of browser-based reporting. You have to decide what is important for your success in analytics. Similarly, some products differentiate themselves by offering mobile reporting applications and/or by being a part of a comprehensive BI suite. Again, you’ll have to decide what’s a must to achieve your analytical goals, but some execs or road warriors need access to data and analyses from anywhere they carry their mobile device. Additionally, some products are positioned within a complete suite of BI tools, which provides a singular team of sales, consulting, and support professionals should you decide to add budgeting, dashboards, or data warehousing. If you’re unsure about needing anything more than reporting at this moment but have the resources to plan ahead, I’d suggest a product that is part of a BI suite, especially if you can implement incrementally, for the least amount of headaches. Finally, there is a lot to consider when shopping for an MR replacement or upgrade, but the most important one involves your business end users. You will have a lot of options, but make sure it is self-service BI, meaning that business end users at all levels of the organization should be able to leverage Microsoft Dynamics data (and any additional data sources) with a BI tool that doesn’t require IT management. 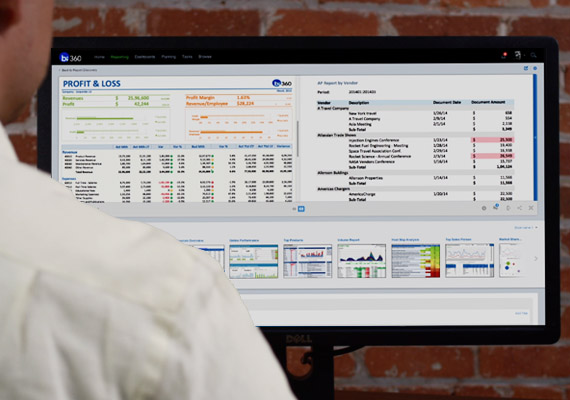 Solver, Inc. is happy to answer questions and generally review BI360’s web-powered, easy-to-use Excel and mobile BI tools with both real-time or data warehouse integrated analysis, budgeting and dashboards as a way to accelerate company performance management with Microsoft Dynamics. This entry was posted in BI360, BI360 Reporting, Business Intelligence, Collaboration, Excel 2010, GPUG, Microsoft Dynamics, Solver Operational Data Store (BI360 Data Warehouse module) and tagged BI360, BI360 Reporting, biznet, business intelligence, consolidations, dynamics ax, dynamics gp, dynamics nav, dynamics sl, Epicor, F9, financial reporting, free financial reporting, free report writer, FRx, FRx replacement, Jet Enterprise, jet reports, Management Reporter, Microsoft Dynamics, Microsoft Dynamics and tagged BI360, MR, Renovofyi, Replacing FRx, Sage by Matthew Felzke. Bookmark the permalink. I am a Communications and Event Marketing Manager based in Los Angeles, CA. I enjoy building community and being inquisitive and resourceful in order to connect people. I have my Master's degree in writing, and I am focusing my energies online these days. In my free time, I run, hike, explore urban spaces, and look for my new favorite food experience.